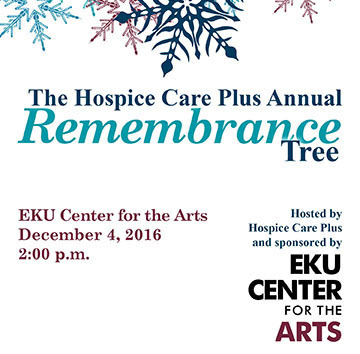 Hospice Care Plus’s annual Remembrance Tree ceremony is set for Sunday, December 4, 2:00 p.m., at a new location: EKU’s Center for the Arts. The event is a long-standing tradition for Hospice Care Plus and the community, bringing hundreds together for more than 20 years. The Remembrance Tree ceremony gives the community a chance to remember loved ones during the holiday season by placing a personalized memorial ornament on a tree. The 2016 Remembrance Tree ornament. A variety of food and refreshments, donated and made by Hospice Care Plus staff and volunteers, are served following the ceremony. The Remembrance Tree will remain on display for a brief time at the Center for the Arts, then throughout the holiday season at the Compassionate Care Center on Isaacs Lane in Richmond. 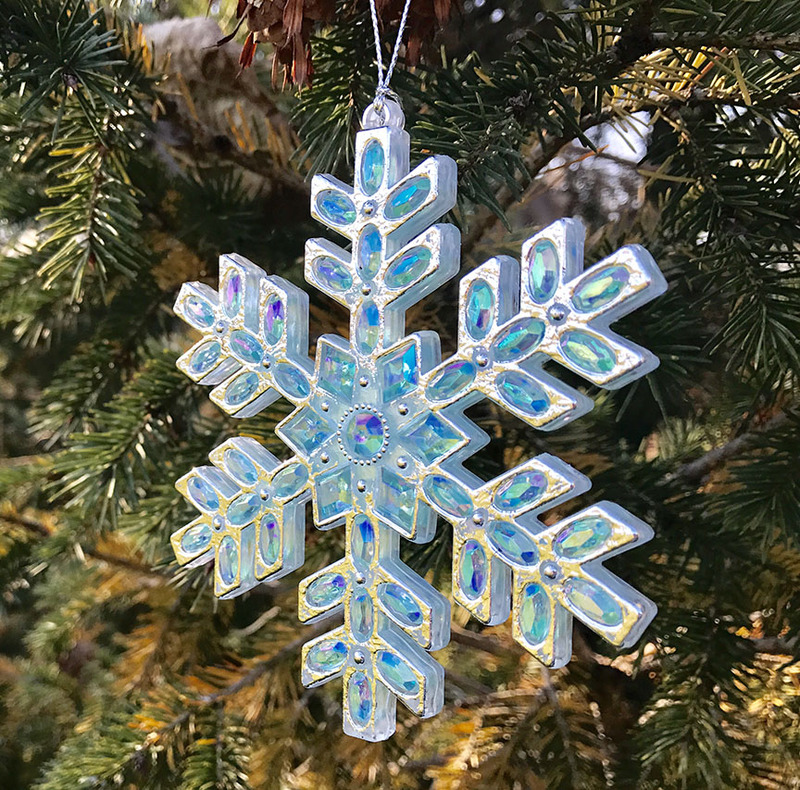 Guests who wish to take their personalized ornament home with them may do so immediately following the ceremony or anytime during the tree’s display period. 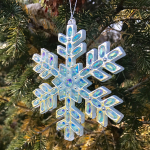 To request an ornament, contact Hospice at hospice@hospicecp.org, 859-756-4755, or 1-800-806-5492. Donations for ornaments can also be made online through our giving page. There is no charge for the ornaments or for the ceremony, but a donation—of any size—is suggested. 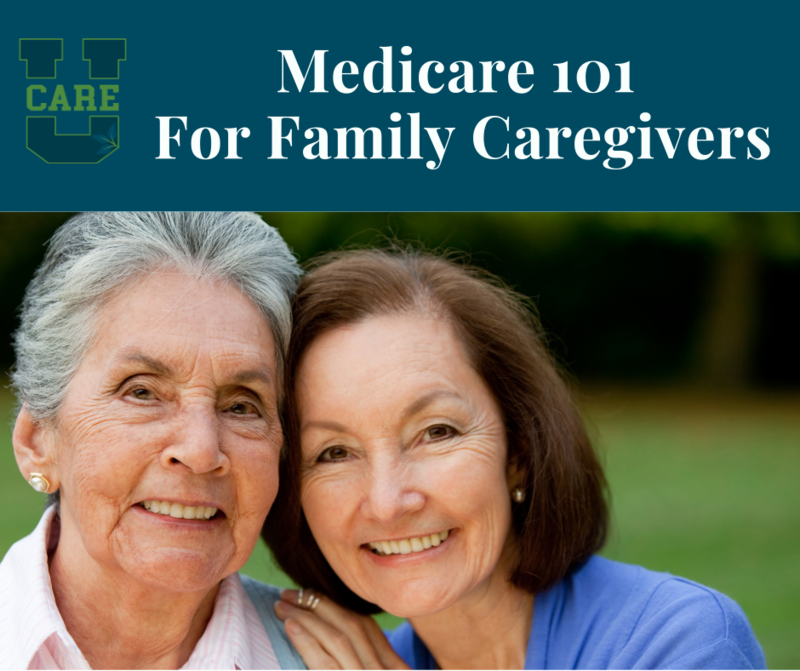 Proceeds from the event fund all of the programs offered by Hospice Care Plus. A limited number of ornaments may be available at the ceremony on the December 4, for those who wish to request them on the day of the event.